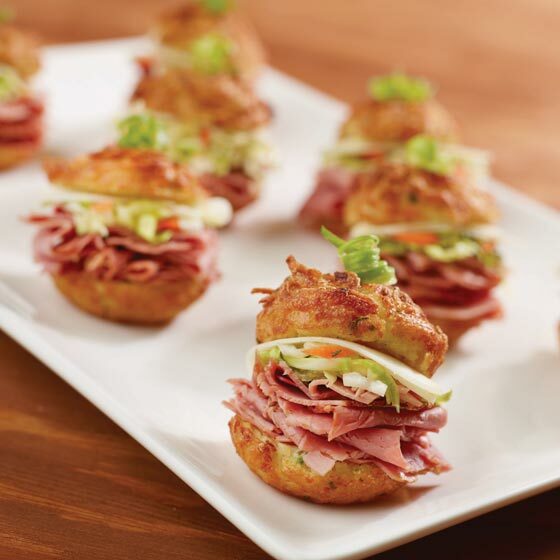 Let Pickle Barrel cater your event with our fully staffed food stations. Pick as many stations as you like to customize your special event. All food stations are made to order, delivering you a real fresh food experience. 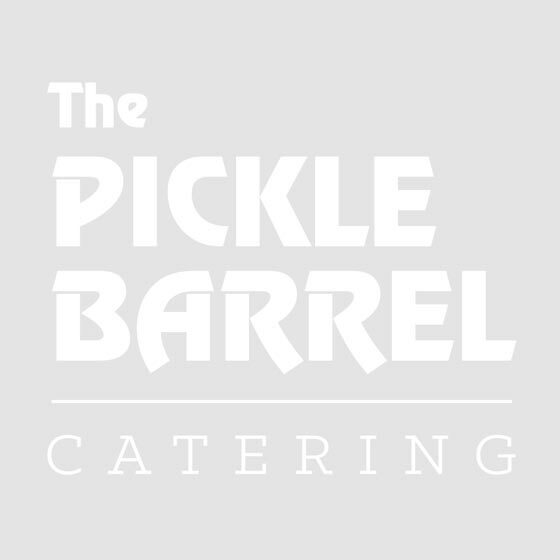 For pricing and recommendations, please call a Pickle Barrel catering consultant. Sweet mashed and yukon gold mashed potatoes. Toppings: shredded chicken, crispy prosciutto, jack cheese, cheddar, chives, sautéed onion, sautéed mushrooms, sour cream, gravy. Red and white quinoa and mixed greens. Toppings: feta cheese, havarti cheese, cherry tomatoes, cucumbers, apples, blackberries, strawberries, balsamic onions, carrots, asparagus, roasted red peppers, pumpkin seeds, sunflower seeds, craisons. zucchini, arugula, mixed olives, fig preserve, assorted ciabatta crostini. Mini beef, turkey and lamb burgers. Toppings: cheddar, bacon, apricot chutney, mint hummus, chipotle aioli, bib lettuce, sautéed mushrooms and onions. Selection of house made dell meats smoked meat, corned beef, pastrami served with assorted rolls and a variety of mustards. Sauces: red sauce, alfredo, kung pao, pesto. Toppings: grilled mushrooms, red peppers, onions, chicken, sausage, shrimp, bok choy, snow peas, water chestnuts, rapini, sun-dried tomatoes. strawberries, biscotti, fresh baked cookies and assorted gourmet fruits. Roma tomato with a dalip of goat cheese. Grilled chicken, grilled beef, teriyaki salmon, garlic jumbo shrimp, grilled halumi. Bocconcini, vine rip tomatoes, basil, olive oil on a skewer served with a balsamic reduction dipping sauce. Wild mushroom and blue cheese. A toasted baguette topped with gorgonzola cream, arugula and grilled beef tenderloin. Large butterfly shrimp, dipped in a mild coconut batter and rolled in coconut flakes. Served with a sweet Thai chili sauce. Risotto stuffed with cheese and fried crispy with house-made tomato sauce. Mac and cheese breaded and fried crisp with spicy ketchup. Lightly steamed asparagus brushed with sweet apricot chutney and wrapped in shaved prosciutto. Watermelon, fresh basil, feta cheese, fresh lime juice and balsamic reduction.